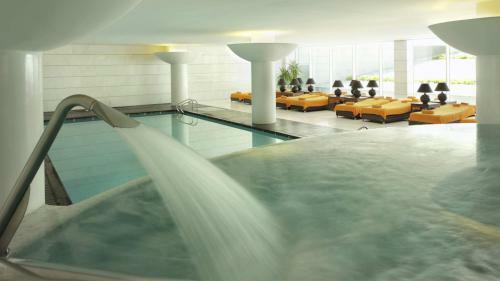 Sheraton is one of the most recognized brands in hotels and leisure, both in Portugal and worldwide. 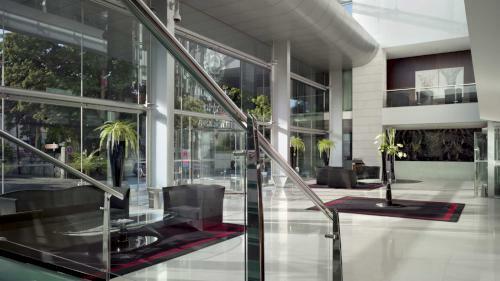 The Sheraton Porto is fully in keeping with the group’s ethos of luxury and quality, providing some of the best accommodation available in the city of Porto, northern Portugal. 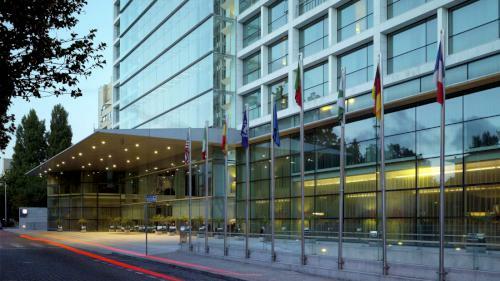 Despite its impressive size, the Sheraton Porto offers a warm and friendly welcome to its many guests. 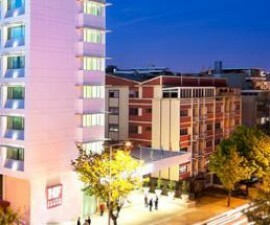 Located right in the heart of the commercial district, it is popular both with business travellers and with tourists in search of quality accommodation away from the bustling downtown area of Porto. Everything you need is within an easy walk or ride from the hotel, from shopping areas and business facilities to the UNESCO World Heritage Site of the city centre. A total of 266 rooms comprises an impressive mix to suit all tastes, budgets and group sizes, from double for single occupancy to suites. 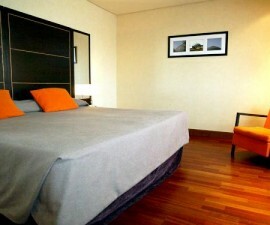 All rooms are fully equipped with plasma TV and cable channels, in-room safe, mini bar, air conditioning, hair-dryer, work desk, en-suite private bathroom, direct dial telephone, and internet. 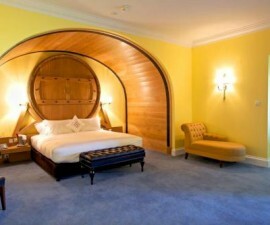 Accessible rooms are available for disabled guests. 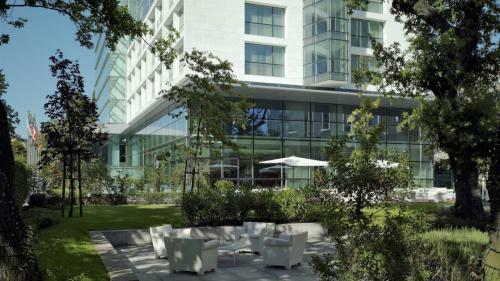 It is important to bear in mind that the Sheraton Porto is a quality, five-star hotel, so a basic room here may be well beyond, for instance, a suite in a three-star hotel. 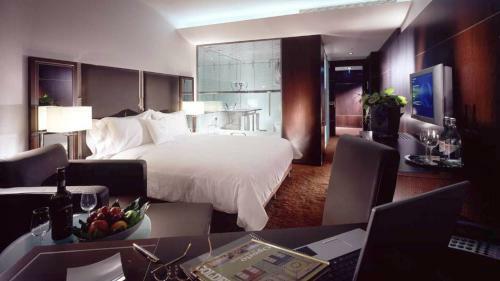 There are 193 standard rooms (referred to as deluxe), which combine innovation, modernity, and superior comfort. 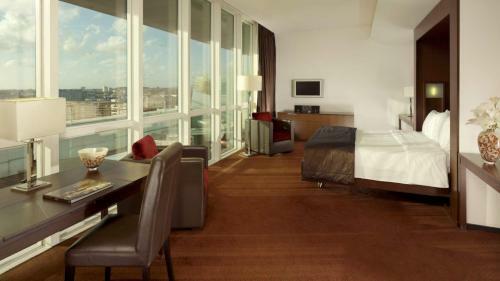 Premium rooms are a little larger, while Club rooms are located on the higher floors of the hotel, affording superb views out across the Porto skyline. 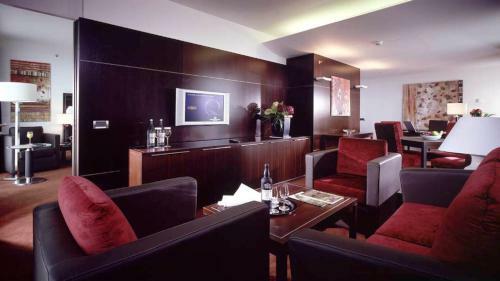 Guests staying in the Club rooms also have access to the exclusive Club Lounge, a first-class area offering a number of complimentary services. 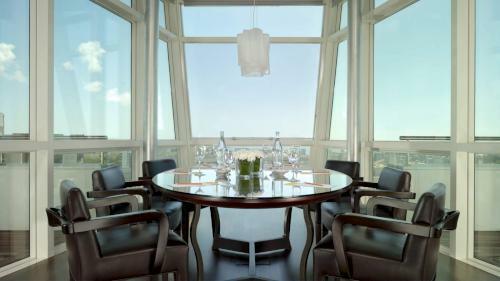 Executive suites offer guests additional benefits, such as Club lounge access, buffet breakfast included, free parking, free use of the fitness centre, and express elevators. 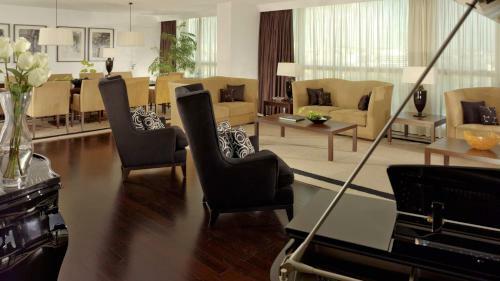 For the pièce de resistance, try the presidential suite, an expansive 240-square-metre space equipped with full state of the art technology, including Jacuzzi, dressing room, and piano. This is guaranteed to leave you with lasting warm memories of your holiday in Portugal. 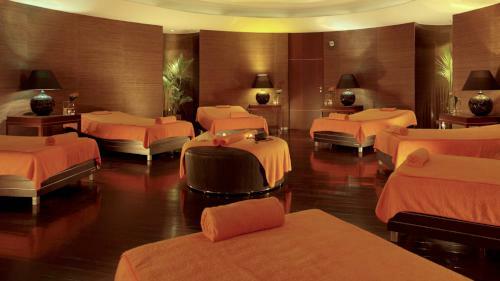 All guests have use of the business centre, well-equipped spa and leisure facilities, either at extra cost or included within their room rates. 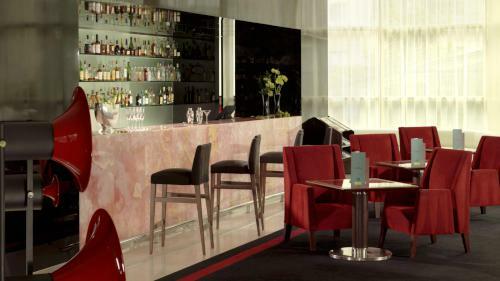 There are also extensive banqueting and conference facilities, while the Porto Novo Restaurant and New Yorker Bar are amongst the most fashionable and sophisticated eateries in Porto. The Porto Novo restaurant is worth a visit in its own right, even if only to admire the huge glazed wine cellar, where you can choose the perfect bottle to accompany the gastronomic flavours of Portugal.